You Can Easily Earn Money By Promoting One of the Hottest Holistic Vitiligo Healing Products Online, Get Cutting Edge Marketing Tools, and Help People To Permanently Cure Their Vitiligo! Even if you are completely new to affiliate/internet marketing or if you have a health, alternative, holistic medicine or Vitiligo related website or if you are a pay-per-click promoter, you can easily promote the Vitiligo Miracle™ e-book and start earning money instantly as an affiliate. The great thing about being an affiliate is that you don't have to do anything except send people to our website. Many people all over the globe are earning significant income just by being affiliates and without the hassle of developing a product, taking care of shipping or customer service issues. If you're interested in earning an additional income stream online, whether you're brand new to affiliate programs or if you're already an experienced online marketer, then it's critical that youread through this entire page. You run your own website, blog, forum, newsletter or e-zine and your visitors, clients or subscribers would be interested in learning how to cure Vitiligo naturally and get rid of Vitiligo without drugs, without surgery, without gimmicks and without side effects. Do you need a high quality product to promote - one with a proven reputation for integrity? Are you sick and tired of all the junk products and health solution gimmicks being sold on the web? Do you want to earn automatic pilot stream of income while at the same time sincerely helping people to get rid of their Vitiligo permanently? 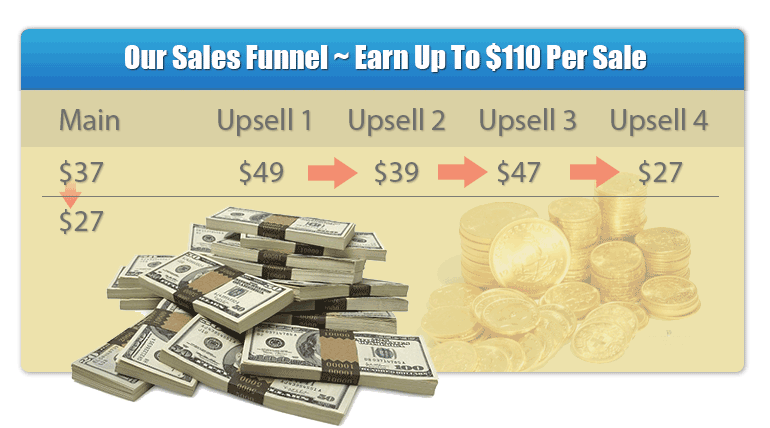 You're brand new to Internet affiliate marketing and are looking to get started by promoting a high quality Click2Sell product with a proven track-record and rapid one-on-one affiliate support. You're simply an average web surfer who is active in online forums and communities (both Vitiligo and health related) such as message boards, or chat rooms and would like to make some extra cash by doing what you already love to do. If you answered yes to ANY of the above questions, then come aboard and start promoting one of the highest quality information products online today and begin earning a steady stream of income when you sign up for the Vitiligo Miracle affiliate program. Basically, an affiliate is someone who we pay commissions to for each sale he or she generate for us. You start by signing up and creating a free affiliate account with Click2Sell (details on that below). You'll then receive a special "referral" link that you can use to drive traffic to our website. Whenever a customer clicks on your referral link, visits our website and makes a purchase within 60 days, we pay you 75% commission for that sale. The money is automatically deposited into your Click2Sell account, and every 2 weeks you'll receive a pay check in the mail for whatever amount of money you've earned during these 2 weeks. The Vitiligo Miracle™ program is a unique high quality product and service. 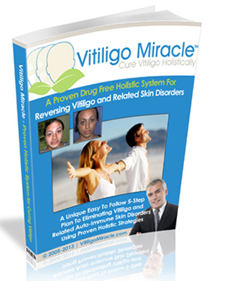 The Vitiligo Miracle program is an original high quality product and one of the most comprehensive holistic Vitiligo solutions on the net. The product also stands on its own because of the exclusive bonus that comes with it: We offer 24 hour personal counseling and support to guide our clients through the program until they reach their goals (get rid of Vitiligo naturally). In this way we practically guarantee their success and satisfaction. The program sells like crazy simply because it works! Your customers will highly appreciate it when you refer them to this unique and valuable resource and you can feel good about the money you make with this fully legitimate top quality home based affiliate business! You get a generous 75% commission on every sale (including upsells)! Site conversion is what counts in this business and we have the highest converting site. period! Conversions are everything. It doesn't matter if the commission is $5 or $500, if nobody hits the buy button, you won't make a wooden nickle. Well here's what... with our professionally written, carefully and continually split-tested sales copy, you'll be turning browsers into buyers faster than you can keep up with. What this simply means is: YOU get RESULTS and more COMMISIONS when you promote the Vitiligo Miracle™ program! We have set our prices and percentages so that affiliates make the most possible money through our extremely high conversions. Try it and see! You can easily compare that to any other health or Skin Disease/Vitiligo competing site. Our affiliates experience little to no returns at all simply because we provide high quality product and counseling service which is second to none. Our product works and has an outstanding 98% success rate among our customers. We use Click2Sell as our credit card processor and affiliate management company. Click2Sell provides you with an access to a private account with 24-hour statistics of your sales. Click2Sell also uses 'cookies' so you still receive your commission on customers that return to our site well after you referred them! If you don't know how to promote an e-book on the Internet, or have no experience with affiliate marketing at all, With the Vitiligo Miracle affiliate program, you don't have to worry because we provide you with ALL the resources, marketing knowledge and tools to help you be successful. We also provide personal support so you'll be able to maximize the profits from your promotions. When you sign up for our affiliate program, you get instant access to our entire private affiliate resource and training center, which includes professionally-designed book cover graphics, banners, classified ads, reviews, articles and even mini-sales letters so you could start making money instantly! You get paid by an independent company called Click2Sell. They are a trusted third party affiliate management company, so you can rest assured that your commissions will always be paid fairly and on time. Click2Sell is the leader in online secure credit card processing for digital information products. Well, the amount of money that you make is impossible for us to predict and entirely up to you and how aggressively and passionately you promote the Vitiligo Miracle™ ebook. There are many effective ways to market the Vitiligo Miracle™ ebook to generate quality traffic and earn substantial commissions: Placing highly visible links or banners on a high traffic website, promoting through PPC engines, advertising on ezines, advertising Vitiligo related articles, writing a good PR and of course, if you run a health, Skin Disease or Vitiligo related E-zine, you can recommend it to your subscribers as an affiliate. 1) Create Your FREE Click2Sell Affiliate Account and Sign Up to Our Newsletter. If you're new to affiliate marketing and need help creating your referral links, simply visit our Affiliate Resource and Training Section (Step 3) . You can also contact us if you have any questions. The following script will allow you to easily generate a custom affiliate link according to your marketing needs. You can cloak/hide your hoplink, insert your Click2Sell TID into the hoplink, choose if you want to display an exit pop-up offer or not and more.